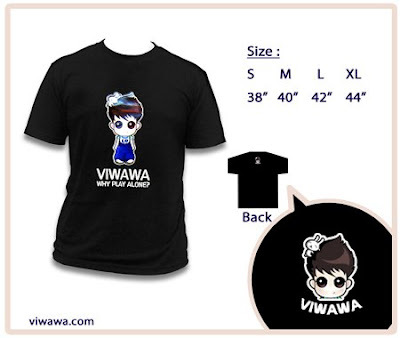 Official Viwawa Blog: Get your Viwawa T-shirts at GCA! 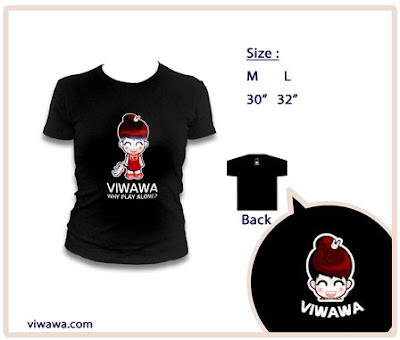 In response to our gamers' requests, we have also decided to sell our Viwawa T-shirts, first introduced at the NUS Matriculation Fair 2008, at Games Convention Asia 2008. Coz we love you guys so much, we will be selling the T-shirts at special prices (Usual price S$38 each) for S$30 each. Want to buy one for your loved one too? Get a pair of couple T-shirts at S$50! Sizes and stocks are limited, so get yours early. hello, how can i order from you guys the t-shirt?